With the World Cup 2019 just around the corner and murmurs of disappointment over the new format of the tournament, Nepal and UAE are set to play each other in the first of three ODI set to take place in Dubai. With more and more players gaining exposure due to the T10 League and Global T20 League, this match is sure to have a say in the future of international cricket. Paras Khadka (C), Gyanendra Malla, Dipendra Singh Airee, Pradeep Airee, Binod Bhandari, Avinash Bohara, Sundeep Jora, Sompal Kami, Karan KC, Rohit Paudel, Sandeep Lamichhane, Lalit Rajbanshi, Basant Regmi, Pawan Sarraf, Bhim Sharki, Aarif Sheikh. With Rohan Mustafa not available for the series, Mohammed Naveed has been given captaincy which should see the pacer include Mohammed Usman and Mohammed Boota for the first ODI. Shaiman Anwar's performance would be key to the UAE's fortunes in Dubai. Possible XI: Ashfaq, Suri, Usman, Boota, Shaiman, Ghulam(WK), Naveed(C), Haider, Raza, Haiyat and Zahoor. Paras Khadka and Sandeep Lamichhane are key to this young Nepal side who are without a few regular players. Dipendra Airee is one to watch out for during the whole series along with KC Karan. Possible XI: Malla, Bhandari(WK), Khadka, Airee, Sheikh, Kami, Regmi, KC Karan, Paudel, Lamichhane and Rajbanshi. Wicket-keeper: Ghulam Shabber is the preferred choice over Bhandari with the middle order batsman doing well for the UAE national team in the recent past. Inexperience also goes against the Nepalese keeper which makes it all the more clearer. 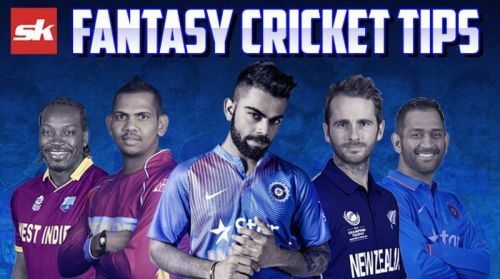 Batsmen: Chirag Suri, Gyanendra Malla, Mohammed Usman and Rohit Kumar are the ideal players to have in your fantasy teams. Suri is one of UAE's main batsman and his clever bowling abilities also make a valuable asset for any team. All-rounders: The Nepalese trio of captain, Paras Khadka, Airee and Kami form the core of the team along with Lamichhane. The bulk of the responsibility lies on them. All three of them are viable options for the fantasy sides. Bowlers: Sandeep Lamichhane is one of the best bowlers in the world with the Nepalese spinner doing well in some of the world's best T-20 leagues in the world. Both him and Mohammed Naveed are must-haves in the team. Other useful options include KC Karan and Zahoor Khan who also have great records with the national sides. Captain: Paras Khadka is the best option for captain with his all-round ability. Likened to Mohammed Nabi, Khadka is also very consistent and should do well against the UAE. Lamichhane and Suri are also good options to go with.